The floral print with green tassels will add a feminine touch to your everyday look. 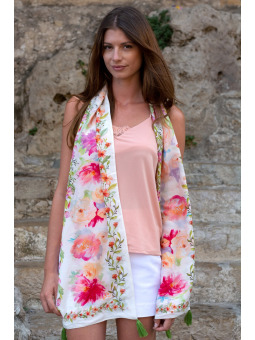 Update your summer look with this soft cotton and silk blend scarf. Basic summer scarf for a casual look.